I love the more frequent postings. The extra thing sounds like it was more amusing than jury duty. One of the chicks in my knitting group is a locations manager and her hub-o is a set dresser…. he’s working on Gossip Girl. I’ll have to ask her what she knows about getting work as an extra on that show. 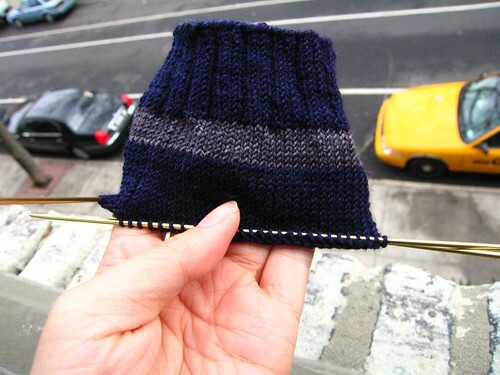 Glad to see you’re making progress on A-Man’s socks. They look great. But why haven’t you updated the progress bar? It must be up to at least 53 or 53 by now.